Laundry is a dirty subject when it comes to waste production. High energy and water usage, coupled with plastic waste and byproducts make the task even more of a chore. When laundering your clothes, there are small actions that make the job a little cleaner and greener. Opt for a cold-water wash on full loads to save energy from heating up the water. And, as much as possible, forego machine drying clothes. Both actions will save on the utility bills and make your clothes last longer while helping the environment. We’ve selected nine products to keep your laundry routine more eco-friendly and luxurious simultaneously. Hampers may hide dirty clothes, but that doesn’t mean they can’t be beautiful, too. 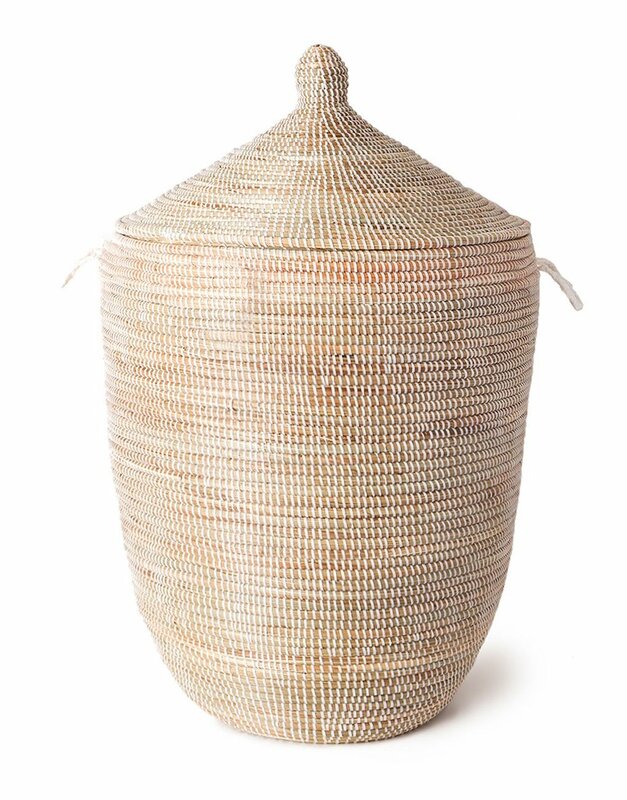 This hand-woven hamper is made from cattail stalks and recycled plastic and was made by the Wolof Weavers of Senegal. The unique shape would enhance any space. Air drying clothing saves clothes, especially delicates, from the rough and tumble of a machine. 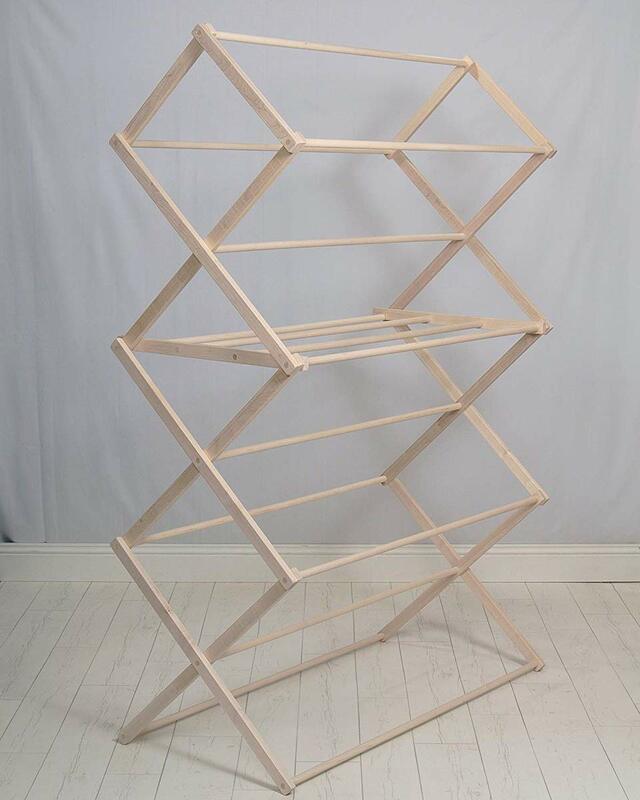 This hardwood drying rack is made in America and is made to last a lifetime. Plenty of space is available for the family’s entire wardrobe. Who knew you could feel like a chic European while ironing? 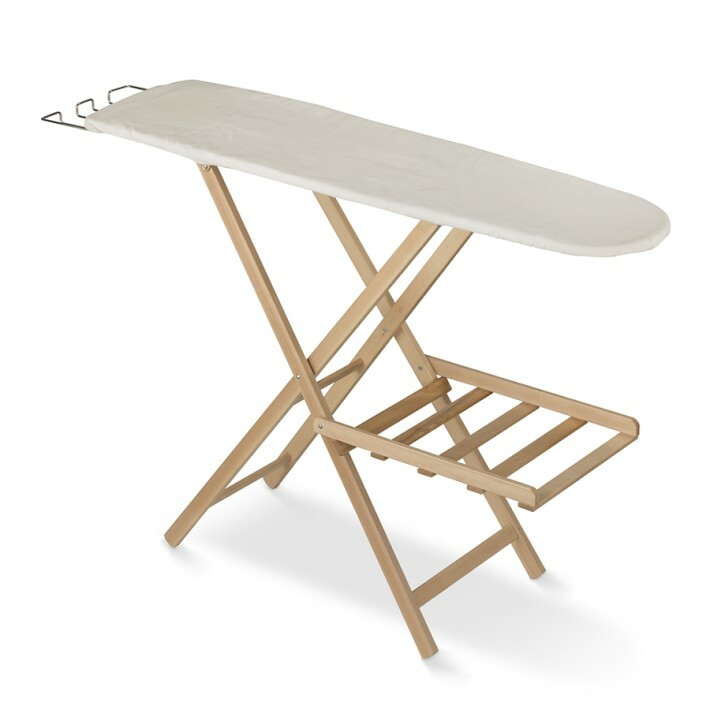 This ironing board is made of FSC-certified solid beech and pine wood, meaning the wood is responsibly sourced from managed forests. Chi, a leader in prestige hair care, has transitioned its ceramic technology to make your clothing just as polished as your coif. The titanium-infused ceramic, along with 400 steam holes, ensures a perfect press upon first pass. 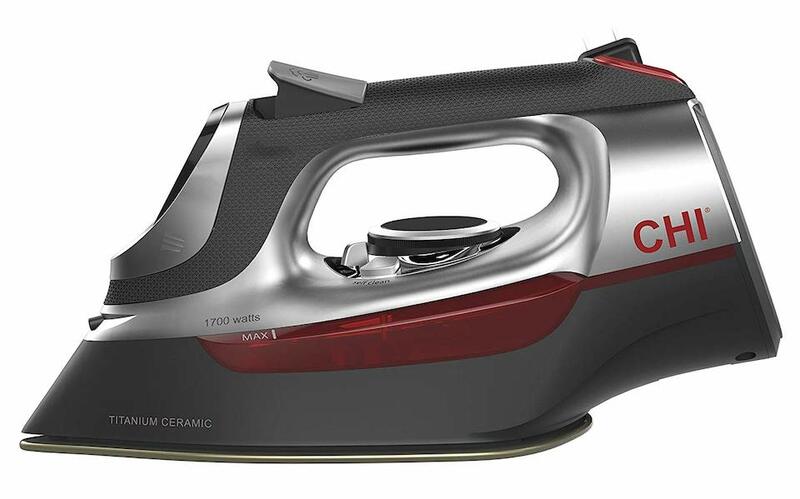 A quality iron will last years and eliminate the need for buying lower-quality replacements. Pods may be convenient, but so are economy sizes. 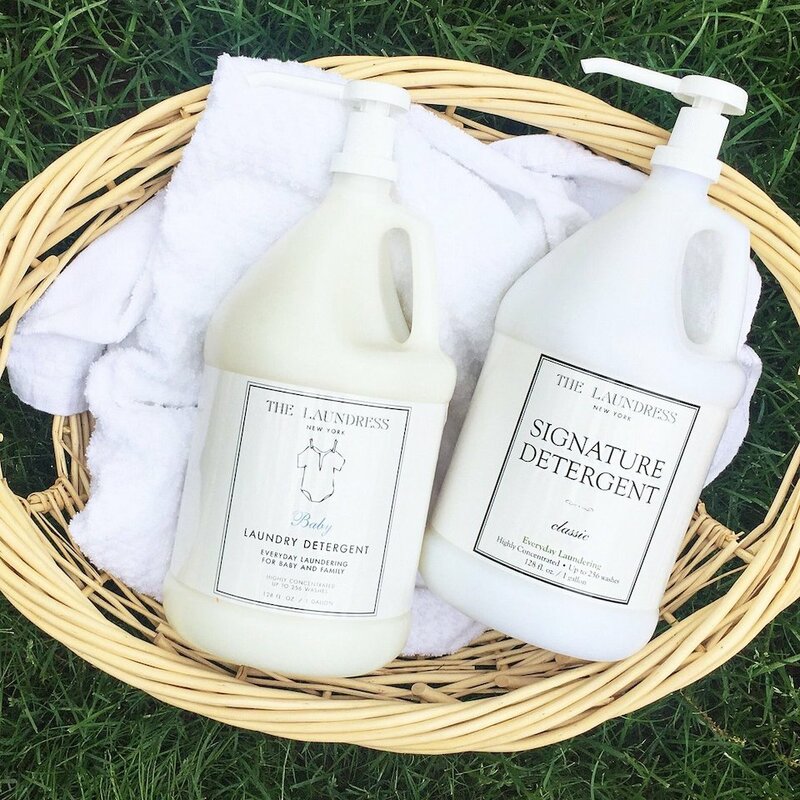 The Laundress’ cult-classic Signature Detergent is available in a gallon size for up to 256 washes. One pump is enough for one load, so no need for exact measuring. 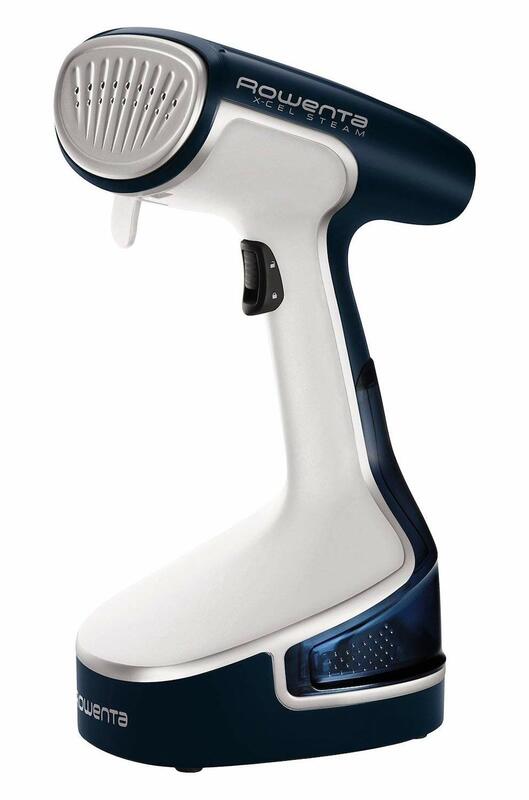 If you don’t want to deal with the multi-step task of ironing, opt for a handheld steamer. Steaming is a great alternative to dry cleaning, which can sometimes use harmful chemicals to sanitize your clothes. The Rowenta steamer kills 99.9 percent of germs and dust mites on different fabric types. Plastic may not be apparent on clothing, but with each wash microplastic fibers can be washed away into rivers and oceans. 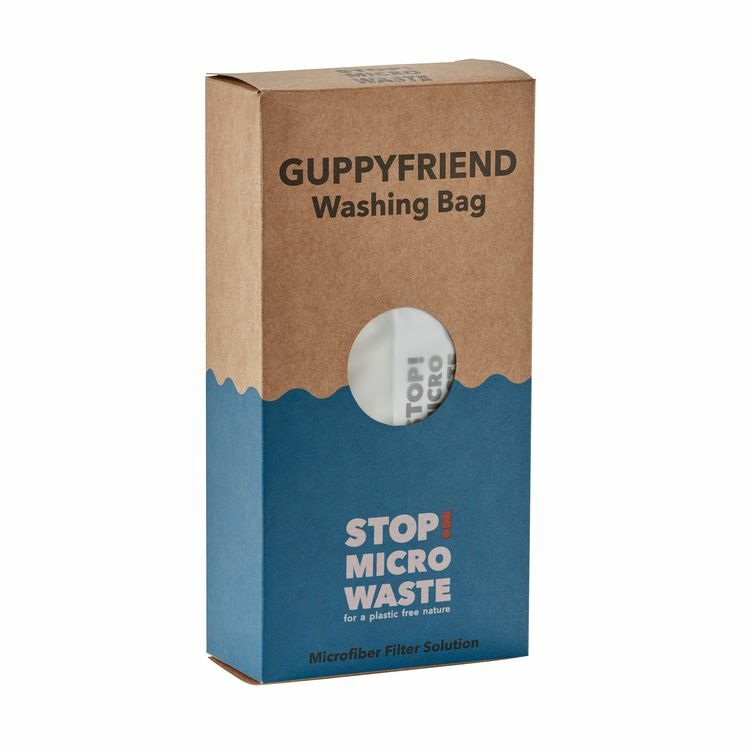 Place any synthetically-made garment (nylon, rayon, polyester, acrylic, acetate) inside the Guppyfriend and watch the microfibers collect inside the recyclable polyamide bag. Toss the waste into the trash and away from water sources. Seemingly innocuous, dryer sheets are often made of polyester and create a lot of waste for a single-use product. 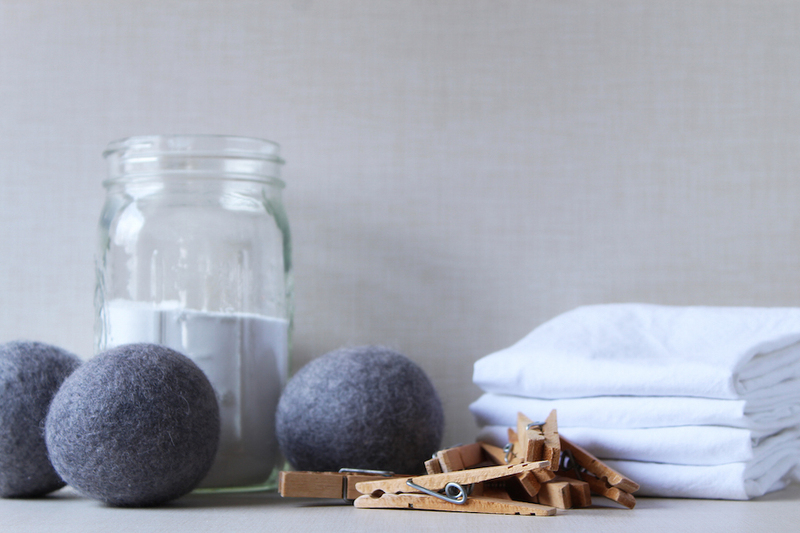 Forego the sheets entirely and use wool dryer balls instead. 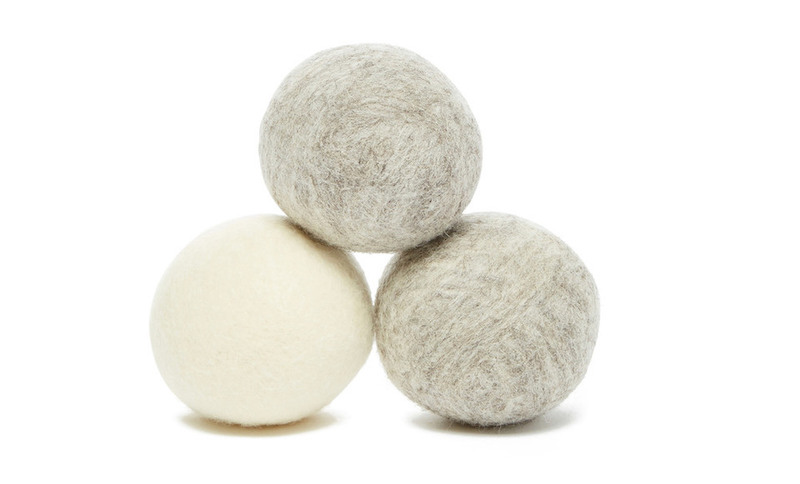 Wool dryer balls cut down on wrinkles, static and drying time, because they create air pockets between your clothes as they tumble in the dryer. The wool lasts for over 500 loads and can be backyard composted at the end of its lifecycle. What better way to end your laundry routine then by hanging your wardrobe on matching hangers. 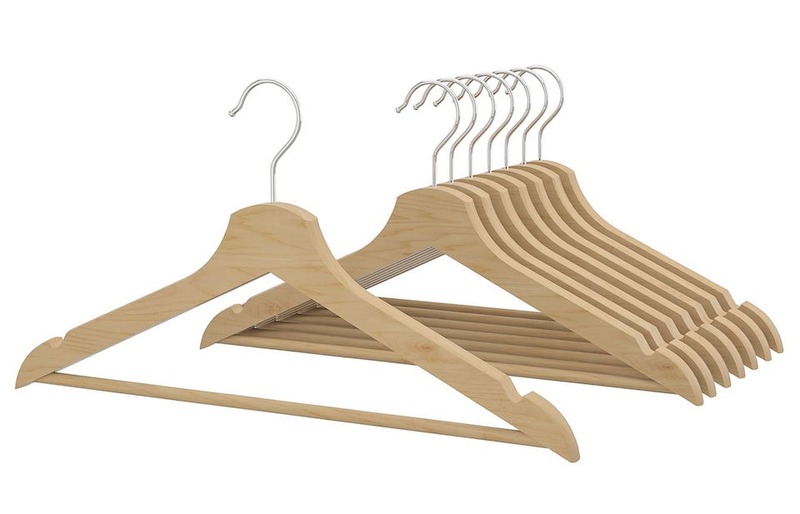 Ikea’s wooden hangers are not only inexpensive and durable, but the wood is sourced from sustainably managed forests in Poland, Lithuania, Sweden, Germany and Russia.